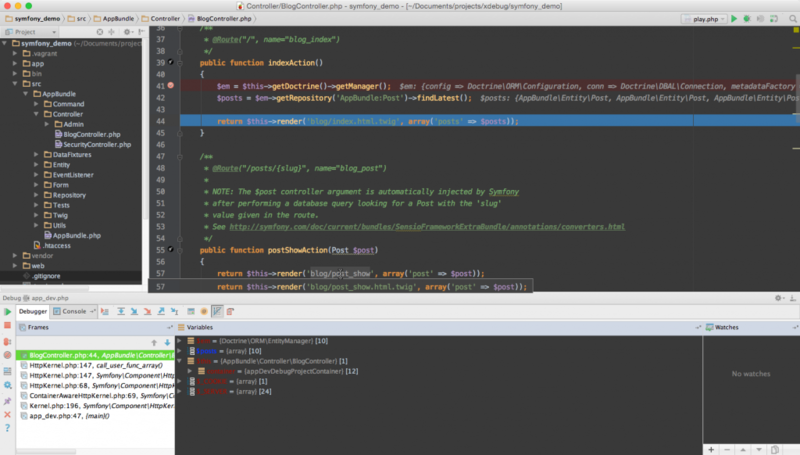 Connecting the Xdebug debugger to PhpStorm should not be a matter of luck. 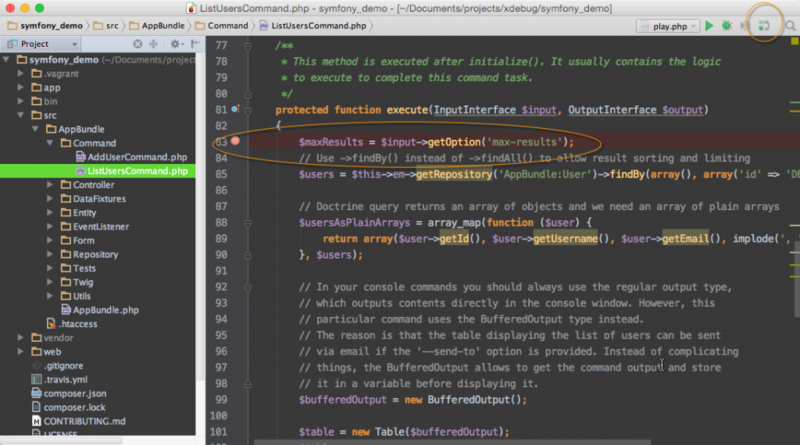 This article tackles the secrets of a simple Xdebug and PhpStorm configuration that works. 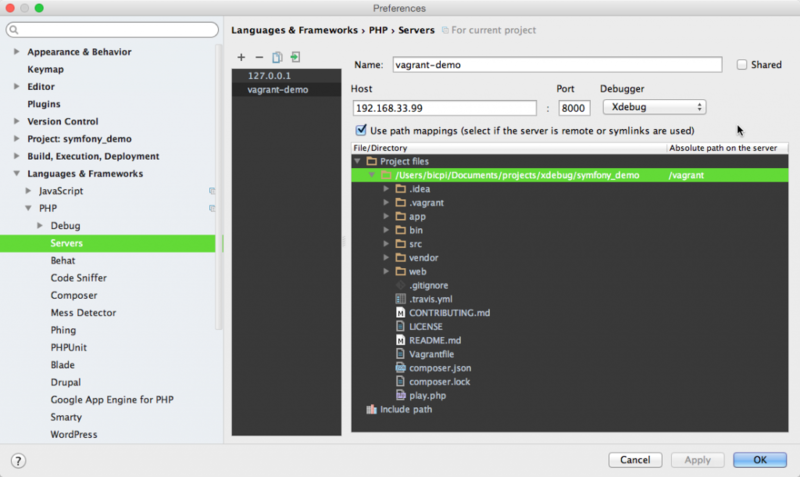 However, it does not cover how to debug an application, but details the process of connecting Xdebug to PhpStorm in every useful way: locally and remotely, using the host and a Vagrant machine, both from a web server, and from the CLI. Like many, I've spent more hours debugging my IDE’s connection to XDebug than I have using XDebug to debug my programs. I’ve gotten it to work repeatedly, but [...] I haven’t been able to localize what causes XdDebug to work or fail. What am I doing wrong? How can I better debug my IDE’s connection to Xdebug? 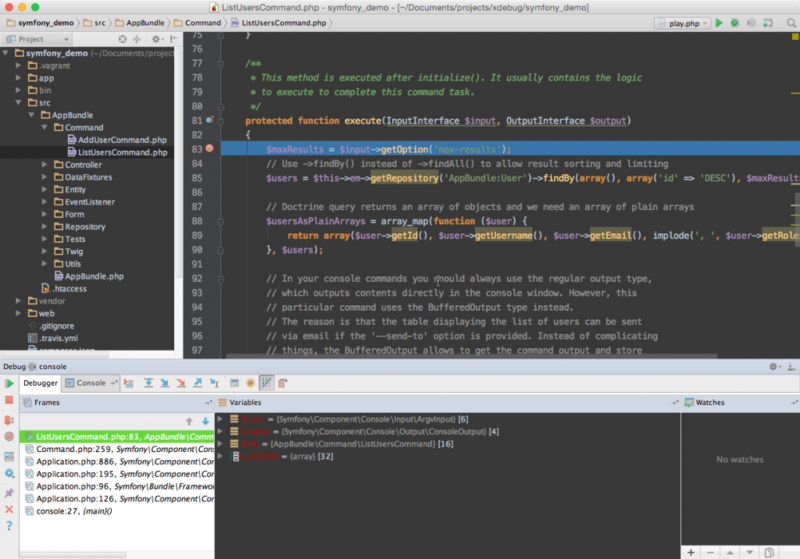 To figure out what's really needed to get Xdebug connecting to your IDE, this article strips down every configuration to the bare minimum. That way, you can exclude a lot of factors that you may have thought were needed to get it working and gain a better understanding of the most important parts. Keeping in mind our commitment to the minimum configuration from the introduction, the only Xdebug configuration used for this article is to just load the extension. So beside zend_extension (pointing to the extension file), all other options are commented out. Upcoming examples in this article will be configured in-place. This is for demo purposes only so there's nothing you have to remember from the Xdebug configuration file. For your real environment, however, you should include some configuration for convenience. The next level of debugging is to debug a local website. Obviously, some kind of web server must be involved. To keep this tutorial simple, the demo will make use of PHP's internal web server. So there's no 3rd party software involved and we won't get distracted by configuring something not directly related to PHP or Xdebug. ... you're able to browse the web application at http://127.0.0.1:8000/app_dev.php. As the homepage of the Symfony Demo is just a static page without a custom controller, let's click on Browse application, which brings us to http://127.0.0.1:8000/app_dev.php/en/blog/ . The associated controller can be found in the codebase at AppBundle\Controller\BlogController and for demo purposes, it seems a good fit to put a breakpoint somewhere in BlogController::indexAction(). With the cookie present, your web application will now try to connect to the debugger for every page request in your application. You can revoke this behavior by simply deleting the cookie either manually or by appending the GET parameter XDEBUG_SESSION_STOP : http://127.0.0.1:8000/app_dev.php/en/blog/?XDEBUG_SESSION_STOP . Of course, you can also simply stop listening for incoming debug connections in PhpStorm. Dealing with the cookie that way can become quite cumbersome after a while. But now, after knowing what's going on under the hood, it's a good idea to switch to a browser extension that does the job on your behalf. For Chrome, there is the Xdebug Helper extension, and equivalents are available for other browsers. Clicking on Debug or Disable just means setting and removing the XDEBUG_SESSION cookie, respectively. Thus, the extension allows you to easily enable and disable debugging the same way you do it in PhpStorm using the telephone receiver button. Notice: The debugger connection is working without further configuration because we're sticking to the defaults in Xdebug and PhpStorm: Xdebug tries to connect to xdebug.remote_host=localhost on xdebug.remote_port=9000 . 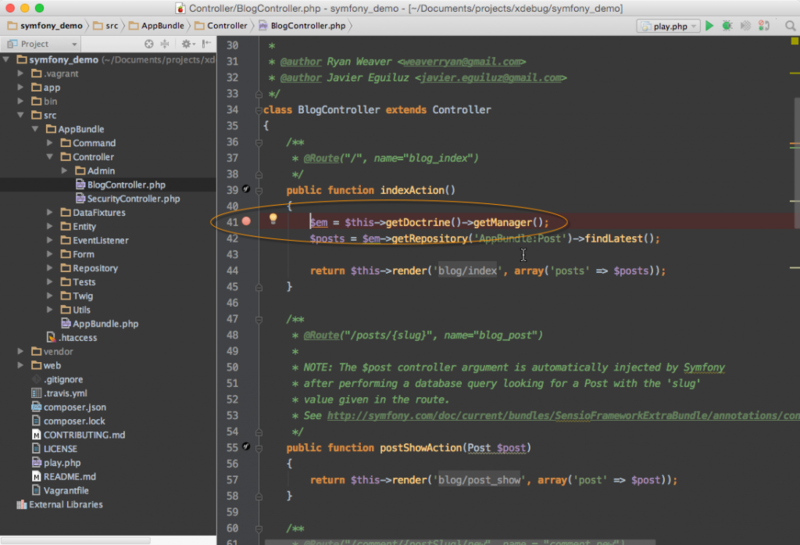 PhpStorm runs on localhost and is listening on port 9000 . 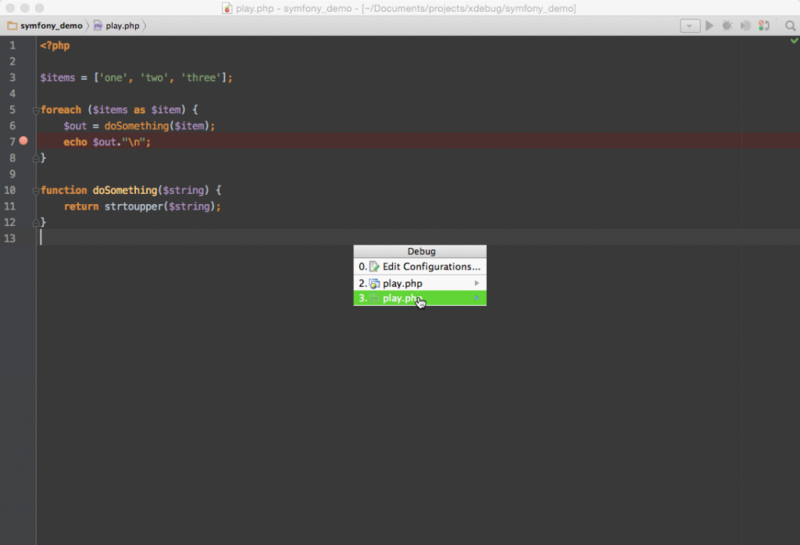 See Preferences > Languages & Frameworks > PHP > Debug (for PhpStorm 9). 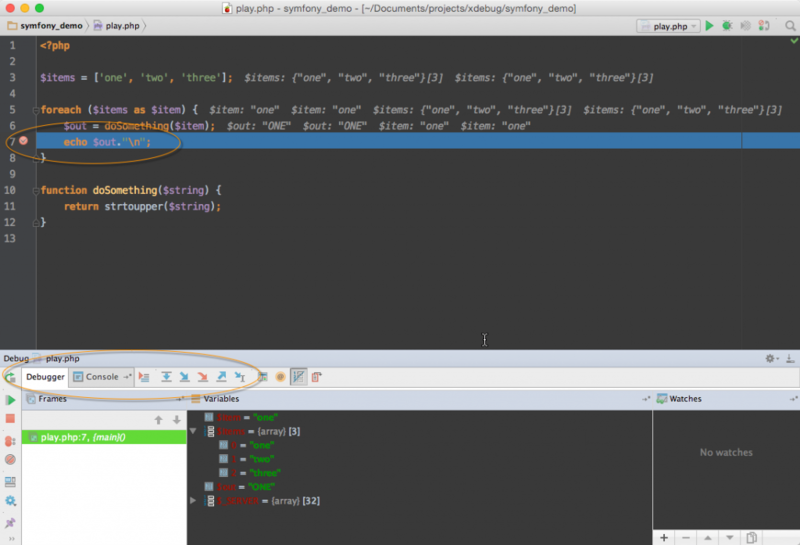 First, ensure that PhpStorm is still listening for a debugging connection (the telephone receiver icon should still be green). Second, add a breakpoint somewhere in the AppBundle\Command\ListUsersCommand::execute() method, which gets executed for this command. The latter command will try to connect to the debugger on port 9001 instead of the default 9000 . 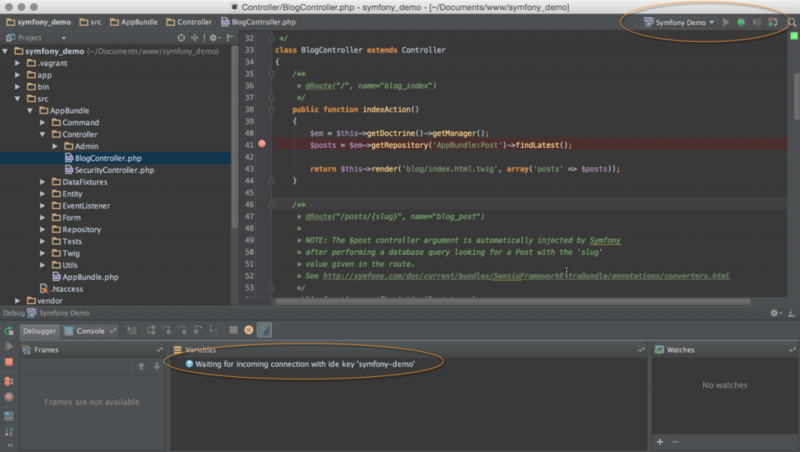 If you change the default setting in PhpStorm's Debug preferences to the same port, the connection will work again. 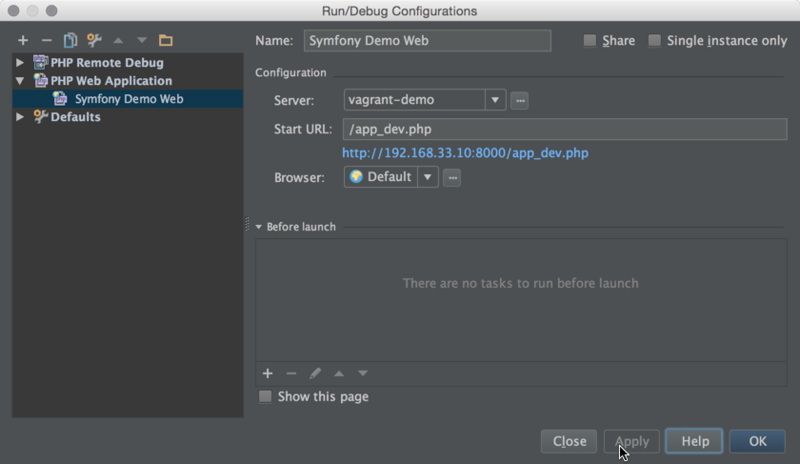 When navigating to http://192.168.33.99:8000/app_dev.php, we are again able to browse the Symfony demo application, but now served from the Vagrant machine. To re-use the existing breakpoint in AppBundle\Controller\BlogController::indexAction(), click on Browse application, which again brings us to the blog post overview at http://192.168.33.99:8000/app_dev.php/en/blog/. 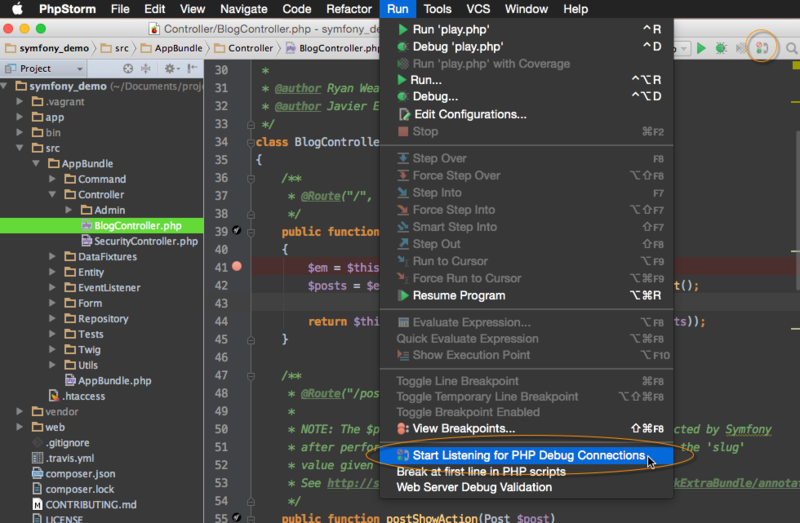 Ensure that you're listening to incoming debug connections in PhpStorm by checking the green telephone receiver icon and set your browser into debug mode by activating the XDEBUG_SESSION cookie with the browser extension of your choice. The only missing piece is to restart the web server with remote debugging enabled. But wait: how should Xdebug know which machine it should try to connect to? The default setting for xdebug.remote_host is localhost. But PhpStorm is not running on the Vagrant machine, right? So let's figure out the local IP of the host machine, e.g. 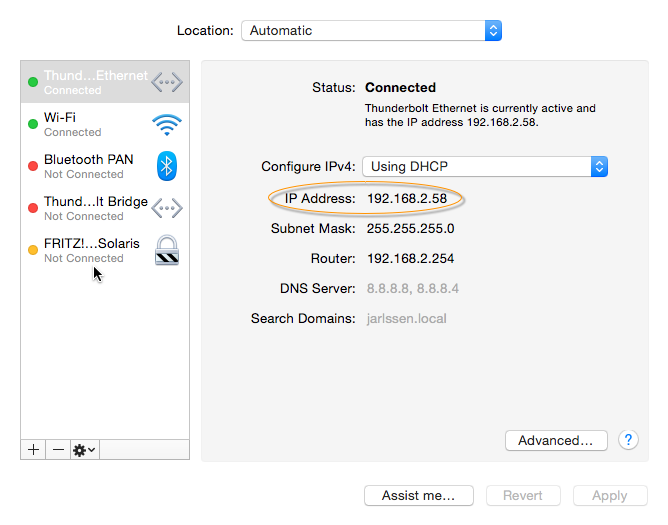 on Mac OSX using the ifconfig command or by checking System Preferences > Network > IP Address. ... leads to the same result as before, but there is no need to specify the local IP of the host machine. This is especially useful in a persistent Xdebug configuration, as it is reusable and distributable independently from local network conditions. 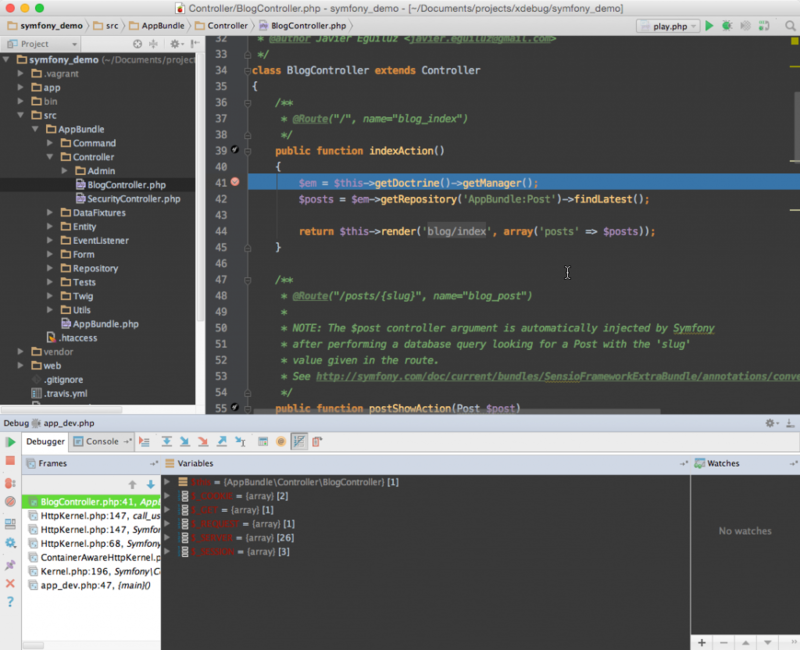 Even if the previous sections cover everything you'll need to successfully setup debugging connections, PhpStorm's debug configurations feature might come in handy to simplify your day-to-day work. For instance, it allows you to start debugging a web application with a single click or supports you in special situations, e.g. if you need to run an external program before each debugging session. Even if you never make use of the debug configurations, you can still learn something by studying how they work. To setup PHP remote debugging, go to Run > Edit Configurations..., click on the + icon (Add New Configuration) above the list of configurations on the left and select PHP Remote Debug. Enter a name for the new configuration, assign the related server (we'll reuse the Vagrant server configuration from above) and an IDE key of your choice (we'll use symfony-demo). The Before launch section allows you to hook into the launch process executing further tasks. Click OK and then Run > Debug... to start a debugging session and select the newly created debug configuration from the popup that appears. Alternatively, you can also select the configuration from a dropdown in one of the toolbars and click on the Debug icon. 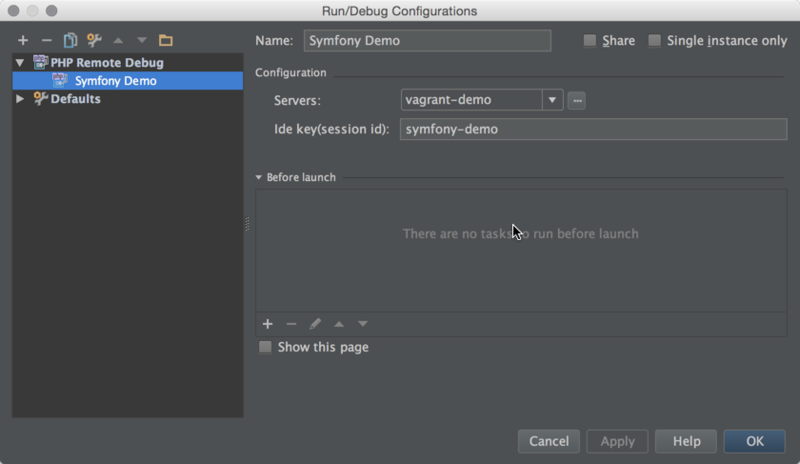 PhpStorm will open the debug console and let us know that it is waiting for an incoming debug connection with the IDE key symfony-demo. The status of the telephone receiver icon is not relevant for this kind of connection. 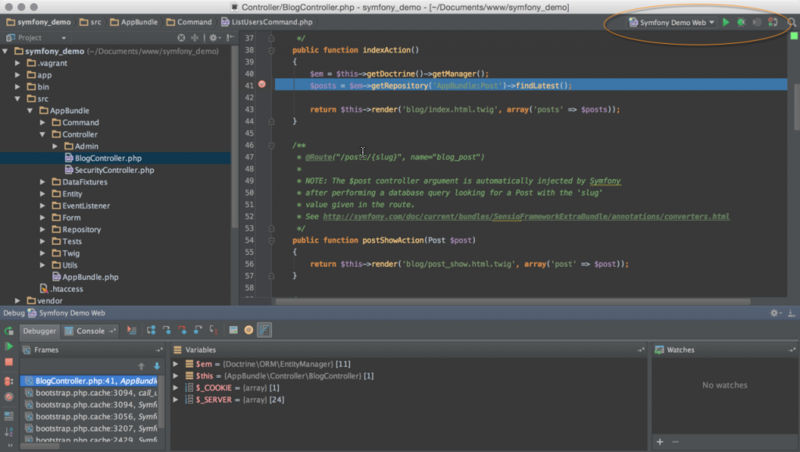 To sum it up: Using a remote debug configuration, PhpStorm is just listening for a debug connection with a precise IDE key. It also allows you to customise the debugging session. You can also setup a "One-Click" solution to debug a web application. One click on the debug icon opens the browser and initialises a debugging session. There is no need to struggle with an IDE key, configure the browser, or prepare PhpStorm for incoming connections. 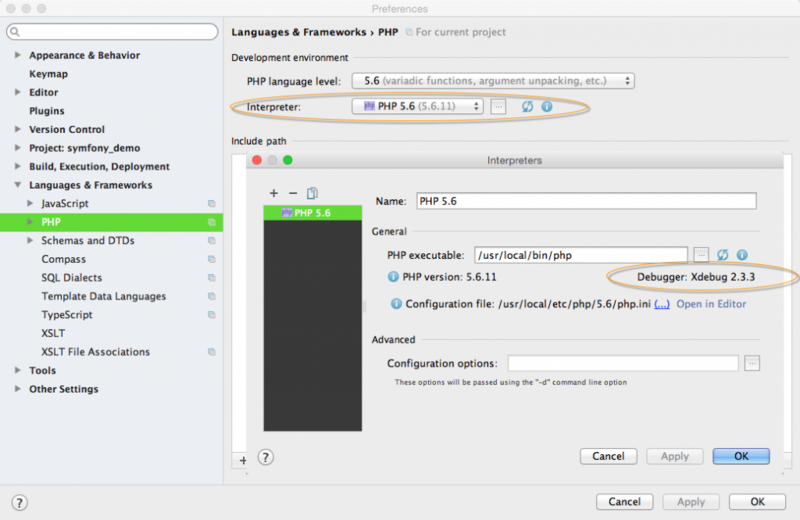 To setup PHP web application debugging, go to Run > Edit Configurations..., click on the + icon (Add New Configuration) above the list of configurations on the left and select PHP Web Application. Enter a name for the new configuration, assign the related server (we'll again reuse the Vagrant server configuration from above) and an initial relative start URL (we'll use /app_dev.php ). The Before launch section allows you to hook into the launch process executing further tasks. A debugging session can be initialised in the same way we've seen in the previous session. But this time, a click on the debug icon opens the browser, sets the XDEBUG_SESSION cookie to a random IDE key (watch for it in the URL), and PhpStorm starts listening for incoming debug requests for this IDE key. Please note that Xdebug still needs to be configured so that it can correctly connect back to PhpStorm on the host machine, i.e. using xdebug.remote_host or xdebug.remote_connect_back. About the author Philipp Rieber is a certified PHP and Symfony developer. He is also engaged in the frontend, the Cloud, on Mobile, as a DevOp and a technical writer. You can find him online @bicpi or find some more information at philipp-rieber.net. Offline, Philipp never misses the PHP User Group in Munich and he is a co-organiser of the Symfony User Group in Munich.